Traditional Life Insurance. Traditional insurance provides benefits with a definite amount as it is in the policy and does not depend on investment performance. Unit Link. Unit link insurance is associated with investment, providing investment benefits that depend on the performance of the type of investment fund chosen by the customer since the beginning of the insurance application. Both can be added with other benefits, such as health protection, accidents and critical illness. Currently there are many insurance products offered by insurance companies in Indonesia, the insurance is no longer only offer life protection and education funds only (Traditional Insurance), but has penetrated into investment with its Unit Link products. Why is this Link Unit more attractive to the people of Indonesia? Because people do not want to insure traditional products that they consider not "profitable" . Traditional Insurance is considered to be binding on the customers. For example: if the insurance agreement for 10 years, then the customer must and must deposit for 10 years. If the customer does not deposit in accordance with the agreed time period, then the previously promised cash can not be cashed. The advantages of Unit Link insurance products are the Cash Value of the investment return. - Total cash value which is a form of investment profit. The development of cash value continues to increase from month to month and from year to year it can be used as a backup in making the program of children's education fund and old age pension. Cash value is a regular cash fund received by the customer and can be taken at any time, not as difficult as the Traditional Insurance program in the process of making funds. There are several types of traditional life insurance, such as life insurance (whole life) with payment and lifetime protection period, term life insurance with premium payment period and limited protection (but some can be extended), and dual life insurance or benefit death and life benefits with a certain amount and are paid periodically, such as education insurance. Here is a type of Life Insurance or a variety of Life Insurance products that are currently circulating in the people of Indonesia. Previously further, you need to know in advance what is the definition of insurance? The characteristic of this type of insurance lies in the maximum protection with a relatively low premium. Therefore, this type of product appeals to prospective insured who have large insurance needs, but the purchasing power is limited. Which type of insurance is suitable for whom? Prospective customers who are just starting a career. Prospective customers who want to protect their child's future. Characteristic of this type of insurance is the basic type of permanent life insurance that provides life insurance protection. Prospective customers who want to have life protection as well as generate savings funds that can be used for emergency needs. Prospective customers who need permanent income protection (critical illness or total disability) . Prospective customers who want to get some investment capital increase. Characteristic of this type of insurance is the protection that provides the sum insured when the insured dies within a certain period, and at the same time provide the entire sum insured if he is still alive at the end of coverage. Because it gives two benefits at once, then this insurance is called dwiguna or unit link. This product is useful for prospective policyholders who want to be protected from financial impact due to early death. Prospective customers who need funds for children's education. Prospective customers who want to have some funds for future needs (buy a house / car) . Prospective customers who want to have a pension fund. 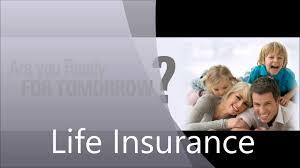 Characteristics of this type of Life Insurance Unit Link Single is a premium paid in full or lump sum. Usually a single premium is desired by prospective customers who want to invest long-term. Prospective customers who like to invest long-term. Prospective customers who have excess money and intend to increase his wealth. Characteristics of a Unit Life Insurance This Regular Link is also a long-term investment, in which the policy is regulated the payment method, which is done regularly or regularly. Prospective customers who prefer protection. Prospective customers who like to invest and still want protection. Prospective customers who are still working and want to set up savings. From the above description, Traditional Insurance is generally known as Pure Life Insurance and Dwiguna. Pure life insurance, the benefit will be obtained by the Insured Heirs, while dwiguna, contains elements of savings and benefits can be obtained by the Policy Holder and or the Insured although there is no claim of death. For pure life insurance, Sum Assured far greater than the premium to be paid. While dual-life insurance, the sum assured is not so great, but has a definite return benefits and is listed in the policy. Because it is certain and listed in the policy, then the value of the benefits can be calculated. Investment Value is the premium received by the insurance company is invested, but the risk is borne by the insurance company, while the Policyholder has been pledged with certainty the value of cash benefits that will be obtained in the period that has been determined and agreed. Premiums that are routinely paid by customers, will certainly be managed by insurance companies. These costs have been estimated previously to determine the premium rate. Unit Link Life Insurance is an insurance that provides a choice of investment benefits, or often also referred to as Unbundled Life insurance, namely Life Insurance which between the elements of protection and investment can be separated clearly. For unit link products, the important thing to remember is the premium of this product is usually divided into two, namely insurance premiums and investments. Insurance premiums are allocated to finance life protection when the risk of death occurs, while the investment premium will be allocated as an investment that can be enjoyed whenever the investment returns are available. The sum assured is small, because most of the premium is allocated for investment. If there is a death claim, the Policy Holder's beneficiary only obtains Sum Insured plus the Unit Link Value. Thus, if the value of the investment has not developed, because it took insurance several years, then the heirs only get a small benefit. 2) Products and Investment Results Under the name of the same insurance product, the results can be different. This is due to the different investment options at the beginning of the contract. 3) Investment Value The value of an investment is not guaranteed (commonly called the value of the policy) by the Insurance Company, and the Policyholder must be aware of the rising risk of the price. If the Fund Manager has a good performance, the value of the Unit Link policy can be profitable because it generates high profits, even much higher than the savings of traditional insurance. 4) Investment Cost Under the condition of rising or falling value of Unit Link, there is always the cost of investment in the burden to the Policyholder. Rider products, such as hospitals, where hospital premiums are paid only for a certain period of time, but covered over, say up to the age of 60 years, in fact premiums to be paid, are only taken from the investment allocation. Unfortunately, some Insurance Company Agencies are less transparent in explaining to their Clients. All insurance products have different purposes and objectives and benefits, depending on customers' needs. If the customer is young, 25-35 years old, who is more concerned with investment, then Unit Link product can be according to his wishes. Both in terms of protection of his soul for the long term, as well as value added from the investment. As for customers aged over 35 years, it is better to take traditional life insurance, where the sum insured is large since the policy approval, in proportion to the premium paid. This is to anticipate, if at any time there is a risk, either because of illness or because of other reasons.